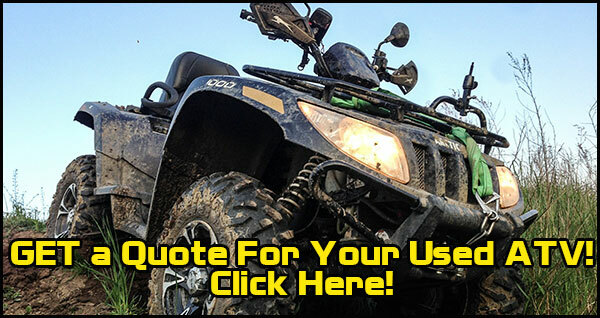 Do you have an ATV or motorcycle that you would like to sell? Are you looking to sell ATV’s for cash? At Sell-Us-Your-Bike.com, we will buy your ATV and pay you cash. Many ATV owners believe they will get more money to sell a ATVe a more conventional way. In most ways, this is not true. If you take in the fact on how much time and money on running ads you will invest, taking test rides, we believe you will come out ahead to sell ATVs to USA Powersports. We make your sell process extremely smooth and extremely simple, and best of all, we pay you CASH! Sell motorcycles can bring you the extra cash to pay off those unwanted bills, buy you or someone else something nice or just take that vacation you have been thinking about. Sell ATV’s – sell used ATV’s. If you are looking for fast cash and want a easy way to sell your ATV, you are at the right place. We provide an easy, simple and stress free way to sell ATV’s. We buy motorcycles, sportbikes, off-road, motocross, street bikes, cruisers, street rods, choppers, trikes, & scooters. So if you are asking how I can sell ATV’s? Just fill out our FREE REQUEST QUOTE FORM or call toll free 1-800-963-9216. When it comes time for you to sell your ATV you will want to get the maximum dollar with the least amount of hassle and inconvenience. At Sell Us Your Bike.com, we will do just that.